It was back in March that we first brought readers news about the Sony Xperia UL smartphone, which at that time was codenamed Gaga. The first images of the Sony Xperia UL have just emerged and show a device pretty much what we expected and you can see one of the photos of the phone below. When we received leaked details of the Xperia UL previously we heard some rumored specs and these included a Qualcomm Snapdragon 600 quad-core processor, 2GB of RAM and 32GB of internal storage. It was said to run the Android 4.2.1 Jelly Bean operating system with a removable 2300 mAh battery, NFC mobile wallet, IR capabilities and 1Seg Japanese TV support. Many of these same specs have also been detailed in the source of the leaked images that you can see below although nothing has been confirmed by Sony yet so for now we should treat these as rumors only. 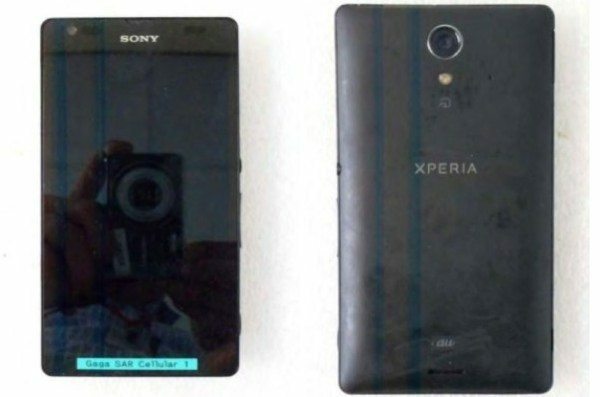 However the report describes the Xperia UL as an upgraded Sony Xperia Z, which has been an extremely popular smartphone. We know the Xperia UL is headed to Japan and will be carried by KDDI but what we don’t yet know is if variants of this phone will come to other carriers and other regions. We’ll be sure to follow further developments on the Sony Xperia UL and let you know if we hear more on this. Would you like to see the Sony Xperia UL come to your region? Send us your comments on this by using the box below.